( ピンキーとキラーズ). 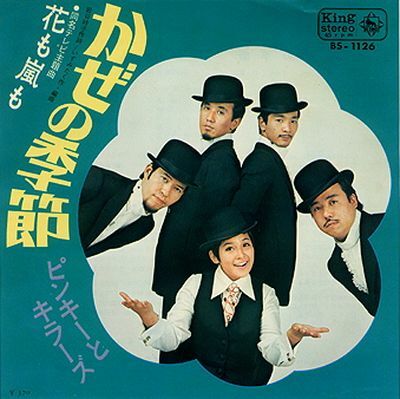 Japanese band formed in 1968 consisting of the singer Yoko Kon (今 阳 子) and a group of bossa nova comprising George Amano (ジョージ 浜野), Andy Yamaguchi (エンディー 山口), Lewis Takano (ルイス 高野) and Pancho Kagami (パンチョ 加賀美). 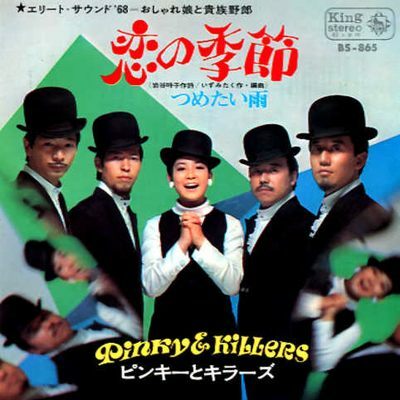 Pinky and Killers became famous with the single “Koi no Kisetsu” (恋 の 季節), sold at million of copies in Japan and 17 weeks at the top of the charts (the Oricon top).